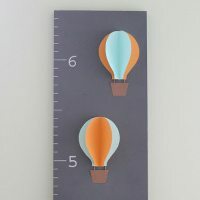 Today I’m teamed up with some fabulous bloggers, who are all expecting, to bring you a great round up of DIY wall art for your little one’s nursery! For your background image, simply find something you like that’s not too busy or dark. I went with a trail map. How did I find it? 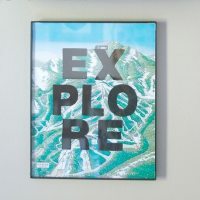 Google search “trail map” and you’ll find a lot of great images to work with. Resize the image to what you need, you can do this in a photo editing software if you have it, but Power Point/Word can do the trick just fine. Print it out and grab your letter stencils. Before you start painting onto the image, make sure you know how you’d like them to appear. Write it out on paper and play with the layout until you have one you like. Now, start with the very center letter and place it smack in the middle of your image. Once you’ve finished the first letter, just fill in the letters around it. I didn’t measure, eyeballing it works just fine. Once it’s dry, which doesn’t take very long, trim the image if necessary and place in your frame to display! 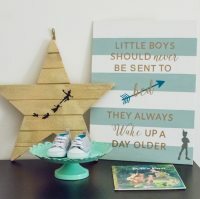 Be sure to check out the other wonderful DIY in the link up for more wall art inspiration and adorable nurseries! 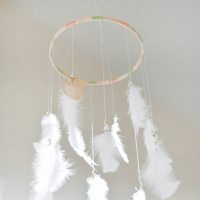 Want to check out RC’s entire nursery? Check out THIS POST. Love it! And all of the art above the changing table is so perfect!!!! Thank you! Hubby really did a great job! I love the adventure theme! And I love the embroidery hoop too. Actually, all of the artwork you hung is pretty perfect Kelly! Thanks so much, Teresa! I loved creating every piece! Aw this is so cute! 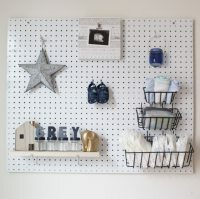 The whole area around your changing table is adorable and the table itself is amazing!! Thanks, Breanna! Hubby really did a great job on the table!